Sketchfab Community Blog - Meet the team behind Hive Wars game ! Meet the team behind Hive Wars game ! Today we meet Hive Wars’ creators Daniel Oprea and David Scadden, from Third World Pixel. Daniel and David are part of Sketchfab community and we felt like bringing to light their work. Hive Wars is a team-based strategy game set in the brutal micro world of insects. Bees versus Wasps fight over territory to secure resources, ending with a climactic battle to eliminate the rival hive. Players must choose between one of two factions, Sitan (wasps) & Tuvenian (bees). The game is set in the near future after nuclear war has annihilated the human race. #1 What’s going on in Third World Pixel studio right now ? What are your latest news ? (Daniel Oprea) We have just returned from Eurogamer Uk or EGX where we showcased our game and people really liked it. We had lots of insect killings and lots of discussions with the gamers about what ideas they like or dislike about our game. In short, a lot of feedbacks from gamers, positive feedbacks to our surprise. Right now we are working on an Alpha demo of Hive Wars game for the public. We have managed to get ourselves to a point when we can say that we are getting seen by the gaming world and now all we need to keep interest is this demo. We currently have some financial troubles that we will overcome and when we do, it’s full time working on Hive Wars once again. It’s not easy being indie. #2 Where does the idea of Hive Wars come from ? Where does the inspiration come from usually when you decide to create a new game ? (Daniel Oprea) Just like any good idea, it came in the middle of the night while the game designer (Dave) and I were chatting online. He was playing Day Z and I was about to close the PC preparing to go to sleep when I stumbled upon videos about how bees are disappearing and what problems this will cause for us humans. Apparently we are all going to become extinct if this happens. On that note we inversed roles and we killed off all the humans in a great war and left the planet full of insects that have adapted to a life without people. After that we just exploded with ideas on the chat window until dawn. We met in the morning face to face at a pub and started writing ideas and making sketches on paper. The inspiration is all around us. Just look around and you will see how real world gives you free material for creating video games. It can be an emphasis on a real problem like our game or an idea with no apparent logic but fun as hell like Goat simulator. #3 The world of indie games seems to be challenging, how long is the journey to make a game and release it to the world ? (David Scadden) ­When we finalized the original idea for our game we only had four months until the develop conference in Brighton. Dan started on the models while I drilled out a design document, then we had the inevitable problem of finding a capable programmer who was not afraid to handle such a short deadline. After many turn downs an amateur programmer came to our aid and managed to get a working prototype working in under three weeks. Most of the assets have been created and the mechanics have been finalized so if we could find an expert programmer and pull in some hard cash this game could be done in a couple months. Currently we are facing some down time due to personal commitments, but this break will be used to develop some new content which will be released gradually to the public in order to stimulate interest. Given our current situation if things go as planned hopefully July 2015 will be the release date. #4 What are the main problems you encounter today in the development of Hive Wars ? (David Scadden) ­ Currently our only problem is that none of our backgrounds are in programming. When we got together we had backgrounds in film, advertising and art. It was a huge learning curb for both of us, most of the programmers we interviewed said our idea was too ambitious or it would never work. When our calls for help were answered we got a guy who was just starting out as a programmer, he took on the project to help us and himself. So it became a new learning process for the three of us. We are eternally grateful for the programmer showing up when he did. After EGX our programmer had to go back to university so now our second problem is that we once again have no programmer. If there was another problem is was that we never had a stable base of operations to work from. But despite all these problems we still managed to get a working game out in under 5 months including a closed test of the pre­-alpha on steam. #5 A bit of technical stuff now, what softwares do you use ? – Adobe Photoshop for all textures and interface assets. – Adobe Flash for interface prototypes. – Autodesk 3dsMax for 3D characters, animation and magic. – Adobe After Effects for making teasers and trailers. – Adobe Audition for sound editing. – Unity as the game engine. #6 Can you tell our readers what does a typical day at Third World Pixel look like ? You guys have fun in the workplace ? (Daniel Oprea) ­ Our studio, as you called it in the first question, is not a studio in the full sense. We currently are 3 people that meet regularly at a pub or a public place to fix and discuss our game. An Art director, a Game designer and a Programmer that joined us recently, lucky for us. Most of the time it’s just me and Dave that meet and work in one improvised place with our laptops. We usually meet up in the morning and we have to look at the project management system Dave set up, this helps everyone know what they have to do so no one gets whipped (yet) but we are so driven to complete this game that we often over achieve our deliverables. As art director I am constantly adding new models and graphics to the game. Dave sits there and grinds out possible game mechanics and concepts while he feeds the fans on the internet. Nikolay (programmer) hides from the sun and only comes out when we absolutely need him to make the mission to meet up. While this is all happening we listen to healthy amounts of old school game sound tracks and compare action figures. Being an indie game developer is like walking on a wire with no protection, no other wires to keep you safe in case you fall. It is really fun to do it and it is really great when people like your work, but no one knows the real pain and cost of your effort. #7 What would you recommend to someone who wants to start video game development? (David Scadden) ­ Firstly I would recommend a good history of gaming across all platforms and ages, this provides the experience for a well-informed design and hopefully a unique idea. You want to create something you want to play so when you get that money making idea it should be drawn up and planned out. Concept art and illustrations must be generated to help explain the mechanics and game play. Ask your friends what they think and then when you are confident enough the idea should then be posted online in order to get feedback (Be ready for negative and constructive criticism), this will help you see if the idea has any interest and help you decide how to proceed next. After three months of development we added Hive Wars to the Steam Concept Greenlight page to see what would happen, lucky it was well received and many people contributed ideas to the development. Being part of the online community is vital, showing your idea and generating an interest in others will attract all kinds of people willing and wanting to help you. The communities at Indie DB has been the most rewarding for this and I recommend starting a project there once you have a concrete plan. #8 Sketchfab recently released some features , like the possibility to add some annotations to your models, to have an exporter directly in your softwares, and more recently, to download some models from the platform like assets and use it in your own games. What do you think of this ? (David Scadden) ­ During the development Dan had uploaded our Wasp and Bee models so that we could show case them at Indie DB, with the added annotations we could explain various parts on our models in a visual style that screams “professional” and I would defiantly recommend this feature to anyone who is serious about displaying their art work. For the upcoming game developer the download option is great feature. As not everyone can create 3D models (like Daniel) this is a brilliant way to help create prototypes & demos for early concepts. For future projects if I need to create a pitch or a plan to show potential financial backers this would be ideal. It will save time for a quick mock up concept and could lead to further work down the line. This is a great way to connect with artists and by adding their models to a game/concept helps to showcase and generate exposure to their portfolios. 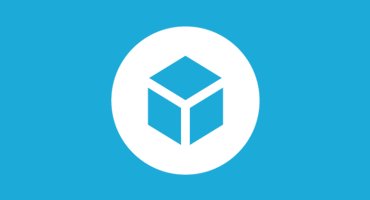 (Daniel Oprea) ­ I remember the first time I discovered Sketchfab and said to myself that this is the most awesome and useful thing when it comes to showcasing 3D models on your browser. I thought it is unique on the web, to my knowledge at least. For the first time I was able to actually put my 3d model instead of a render photo. It was Boss! Then, you guys started to add more things to it like an exporter directly from 3dsMax which made exporting so easy and smooth, also annotations that are very useful if you need to provide extra info of your model right on the actual model. All of this is great stuff! Thank you guys for this little talk, we appreciate it. We wish you all the best with Hive Wars !